Psycholinguistics is an authoritative, wide-ranging and up-to-date A to Z guide to this important field. 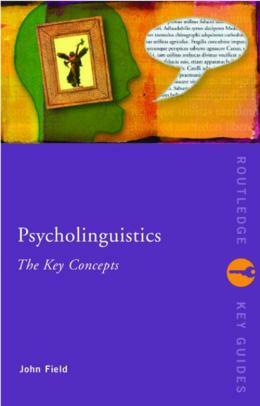 Cross-referenced, with suggestions for further reading and a full index, this book is a highly accessible introduction to the main terms and concepts in psycholinguistics. Psycholinguistics offers over 170 entries covering the key areas: psychological processes first language acquisition the nature of language brain and language language disorders. This comprehensive guide is an essential resource for all students of English language, linguistics and psychology.